In certain sales situations, a rep can only close a sale by meeting with the top decision maker. In the post-2008 economic climate, many companies require approval from the top of the decision-making chain. Thus, it’s not unusual these days for sales reps to find themselves in front of C-level customers, where long-lasting relationships can begin to develop. There are two absolute rules for selling to C-level customers: Do your homework, and have something important to say. But there are also lots of details to get right. Prepare for the C-level customer before you visit. Use LinkedIn and other tools to build a network of colleagues who can help make referrals. For example, Tom Begg has links to 500 names in LinkedIn, has started 50 groups, and sends newsletters to group members. Many of these contacts have been useful; they are C-level execs or people who know them. “Don’t be shy about asking for help,” Begg advises. Know exactly which C-level exec you need to speak to – CEO, CFO, COO, or other. 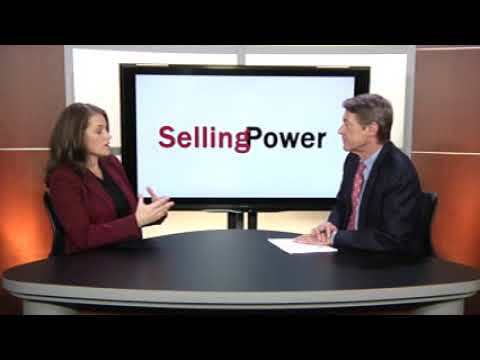 Who has the most to gain or lose from what you are selling? To answer this question, a rep must know the informal process, apart from formal RFPs, the firm uses to make buying decisions. 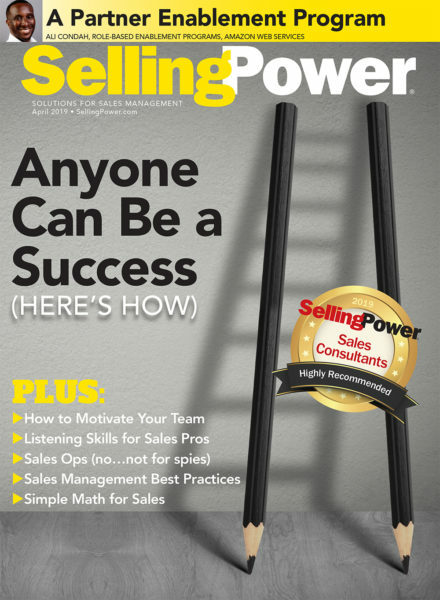 “The informal process always trumps the formal one,” notes Steve Bistritz, coauthor of Selling to the C-Suite: What Every Executive Wants You to Know About Successfully Selling to the Top (McGraw-Hill, 2009). He successfully bid for a major IT firm’s business only because the key C-level exec stepped in at the end, overriding the purchasing agent’s choice. “The relevant exec can change the rules,” Bistritz summarizes. Go for a C-level meeting early and with a big idea, or do not go at all. The top execs from 400 major corporations who Read surveyed told him that once an RFP hits the street, they are no longer involved. Tom Begg finds the best time to call top execs is from 41 to 57 minutes past the hour. “If you call at 10 a.m. to 10:40 a.m. you will not get through,” he stresses. But even the best-timed calls are likely to require leaving a message. Make it succinct and persuasive. Follow up with a quick email, and then call again in three days. Keep a detailed record of every contact. The first time you connect with the exec, you may have only three minutes to demonstrate why he or she should take a longer call or meeting. “You have to demonstrate some value to the exec, for example that you have sold the solution to the same industry,” Bistritz argues. You can go for a short telephone call first – say, 20 minutes long. If the call lasts longer, that is great. But be prepared to keep it short, and seek a face-to-face follow-up. Remember, C-level execs are not interested in everything, so sometimes do not even try. “They are interested in what spans the enterprise and affects many business units,” says Konrath. A well-prepared rep should be prepared to tell a C-level exec what the future holds and what consequences future decisions will have on the exec’s firm and recommend solutions. “Don’t be afraid to be controversial. Tell this prospect why he or she may lose his or her job in five years,” says Read. The meeting should end with specific goals and agreement on next steps and knowing to whom you should speak next. Show you are prepared by telling the exec which department you have worked with before, but let him or her suggest alternatives. Manfer argues that meetings should end with a commitment, an order, support for the project, a referral to another exec, or at least an agreement on what needs to be clarified at the next meeting.